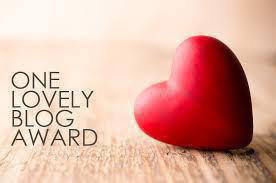 I was nominated by Bonnie at Be the Best You for the One Lovely Blog Award, Thank you so much. I am honored as this is the first award that I have actually posted and paid forward to other bloggers that deserve the honor. I chose these bloggers because each of them are unique and beautiful writers.